New Vikings coach Mike Zimmer said of his defensive philosophy: "I've run the 4-3, I've run the 3-4, and quite honestly, as long as everyone's on the same page, everybody knows what they're supposed to do and everybody does it to the best of their ability, you can win football games." During his introductory press conference as the Minnesota Vikings’ new head coach, Mike Zimmer referred to himself as a "fixer" and an "observer," two traits that will help him in his first offseason as a head coach. Zimmer’s defensive roots will be important as he tries to fix a Minnesota defense that has ranked 31st, 14th and 32nd in points allowed the past three seasons. The Vikings have ranked 21st, 16th and 31st in yards allowed during the same stretch, with an aging defense up front and an undermanned secondary on the back end. "I’m an observer," Zimmer said in his introductory press conference. "Everybody says I’m going to chew people out and all this stuff. That’s not true. I go out and observe what needs to be fixed, and I fix. I do think I’m a fixer, and I’m an observer. If guys are doing things correctly, there’s no issues whatsoever. "I’ve told my players many, many times before when we’ve had a bad game, I said, ‘Here’s what I do, I fix stuff. I’m going to go out, and I’m going to fix this.’ They all trust that I’m going to get it fixed. That’s kind of what my personality is." A defense with several key pending free agents could look very different next season, and Zimmer is not bringing in any preconceived notions of his players or his scheme. He said he will fit his defensive system to his player’s strengths. Zimmer has proven his versatility, both in running 4-3 and 3-4 base defenses and also coordinating the league’s third-ranked defense this past season despite several key injuries. Most of all, Zimmer knows he won’t be able to stray too far from his roots as a defensive coach. Zimmer has reportedly hired George Edwards to be the team’s defensive coordinator, but Zimmer said he will be "very" involved in the defense and possibly even call the plays. 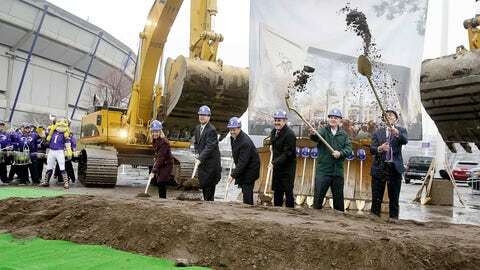 "I plan on it being very similar to what I’ve done in Cincinnati," Zimmer said. "It’s always going to be part of my little baby because that’s kind of who I am and what got me here. So that will always be a big part of me." Zimmer has been a defensive coordinator for the past 14 years. Twelve of those seasons — including the past 6 with Cincinnati — Zimmer ran a 4-3 defense. One of the familiar tales of Zimmer’s past was his transition to a 3-4 under Bill Parcells in Dallas. Parcells became the Cowboys’ head coach in 2003, but stuck with Zimmer’s 4-3 defense for two seasons, including in 2003 when Dallas led the league in total defense. Parcells became a believer in Zimmer during their four years together. And the two worked together, while changing personnel, to transition to the 3-4 defense during their final two years together with the Cowboys. "I’ve run the 4-3, I’ve run the 3-4, and quite honestly, as long as everyone’s on the same page, everybody knows what they’re supposed to do and everybody does it to the best of their ability, you can win football games," Zimmer said. "A lot of times, if you don’t make mistakes, you beat half the teams in this league." Zimmer was the defensive coordinator for just one year in Atlanta, using a 4-3, before joining head coach Marvin Lewis in Cincinnati. Lewis, a former defensive coordinator, preferred the 4-3. 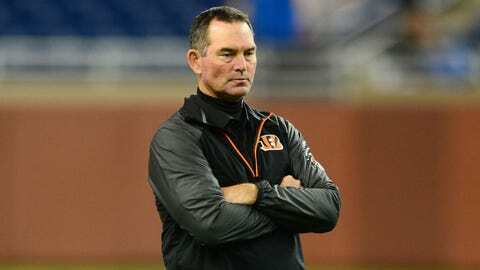 Even with his defensive background, the Bengals’ defense couldn’t get on track, ranking no better than 19th in Lewis’ first five seasons as head coach. Then Zimmer came in and Cincinnati had a top-15 defense each of the next six seasons utilizing the 4-3. The Bengals had four seasons in which they ranked in the top-7 in total defense. Since 2011, the Bengals have the second-most sacks (139) in the NFL, including a team-record 51 in 2012. The Vikings have long employed a 4-3, Cover-2 defense. The Cover-2 scheme will be gone, but expect the 4-3 alignment to stay. "Honestly, I want to fit our scheme to the players, to the best of their abilities," Zimmer said. "Like I said before, it really does not matter if it’s a 3-4 or 4-3. As far as my philosophy, I want to stop the run and I want to hit the quarterback. So, however that is, if we’ve got to blitz I think we have a great blitz package. But I want to be fundamentally sound in what we do. "There’s teams that can go out there and make a lot of big plays, but they’re not fundamentally sound. And then when the game gets on the line, they don’t perform in the crucial situations of the game." Of course, Minnesota’s defense surrendered the lead in the game’s final minute five times last season. The Vikings personnel, at least right now, does seem more of a fit to the current 4-3 alignment, but changes are on the way. Among the defensive players facing free agency are defensive end Jared Allen and defensive tackle Kevin Williams, two longtime stalwarts on the line. Also set to become free agents are cornerback Chris Cook, defensive end Everson Griffen, defensive tackle Fred Evans and linebackers Desmond Bishop and Marvin Mitchell. The core of the defense now is comprised of defensive end Brian Robison, linebacker Chad Greenway, safety Harrison Smith and last year’s two coveted rookies, defensive tackle Sharrif Floyd and cornerback Xavier Rhodes. Zimmer started in college and in the NFL as a defensive backs coach, but his success in developing players on every level of the defense is no accident. "It’s amazing to see him coach every position," said Zimmer’s son, Adam, who is reportedly going to join him on the Vikings’ staff. "He goes from a D-line and says, ‘you’re taking the wrong steps.’ To linebackers and says, ‘You need to take this drop.’ And to the DBs, everything about their technique and he does that in one sentence almost. It’s pretty impressive."